Tempe, AZ (November 19, 2018) – It may seem like an odd gift to wrap but turns out, the gift of slime is quite touching! Kids and teens go crazy over the tactile goo that’s not quite a solid but definitely not a liquid. Original Super Cool Slime® by parent company Kangaroo Manufacturing has expanded its collection with the hottest trends in the toy world – unicorns, emojis and (ahem) poop. Emoji Poop Slime and Glow In The Dark Slime, $4.95 each, make terrific stocking stuffers, dreidel game or classroom Secret Santa gifts. Likewise, Unicorn Poop Slime appeals to the daintiest kids on your list. Jurassic World Slime in Indoraptor black or T. Rex Cryptogenic green guarantee a dino-good time of hands-on fun. 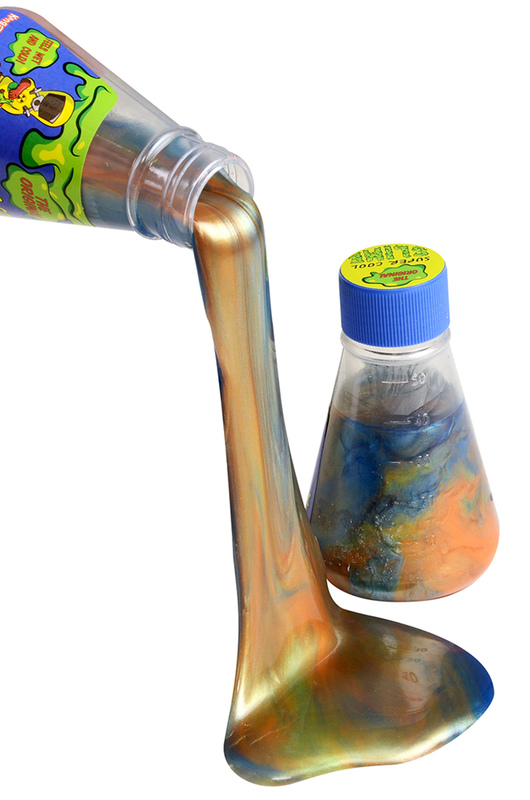 Each themed glop comes in an appealing container that resembles a chemistry beaker. Tilt it, pour it and let the squishing begin. Surprise each recipient on your list with a little science lesson. Tell them to enjoy their non-Newtonian fluid! Then watch them “Google” the chemistry lesson. 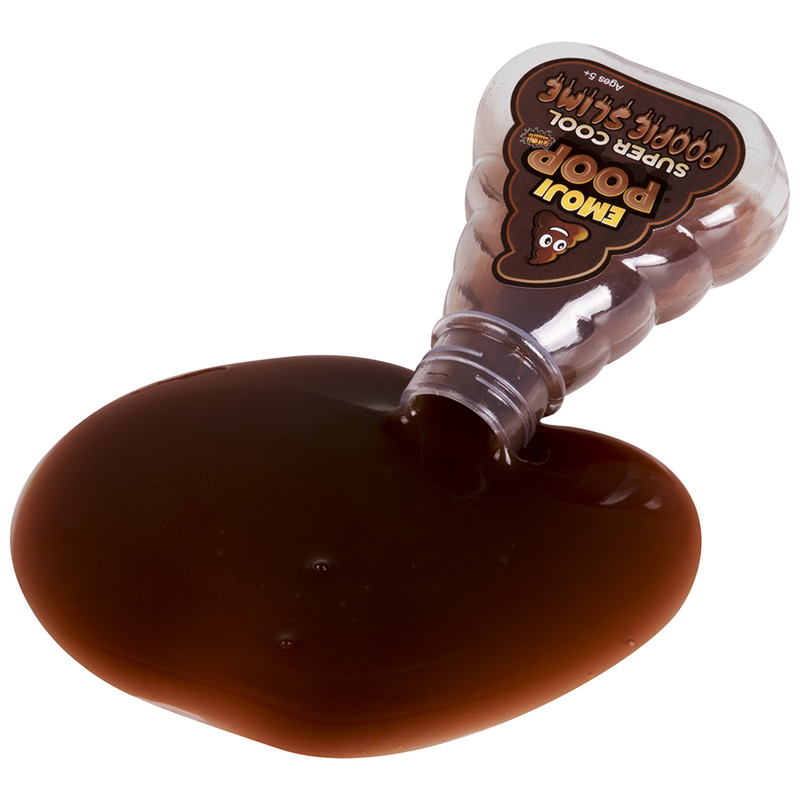 Kids already familiar with the slow drip of ketchup or honey will recognize the same properties in gooey slime. 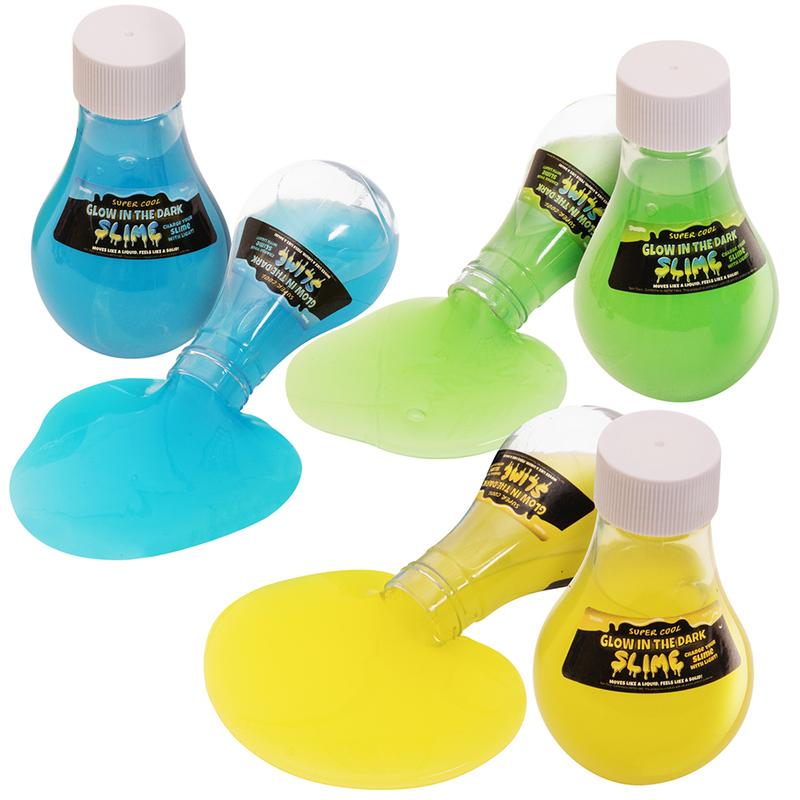 If there’s a budding scientist in the house, consider The Original Super Cool Slime Lab ($12.95). The boxed kit boasts 18 pieces, including measuring cups, mixing sticks and a slime activator that results in a jar of glitter slime, glow in the dark and multi-color slime. Now that’s super cool! The hundreds of random comments online attest to its cool factor. 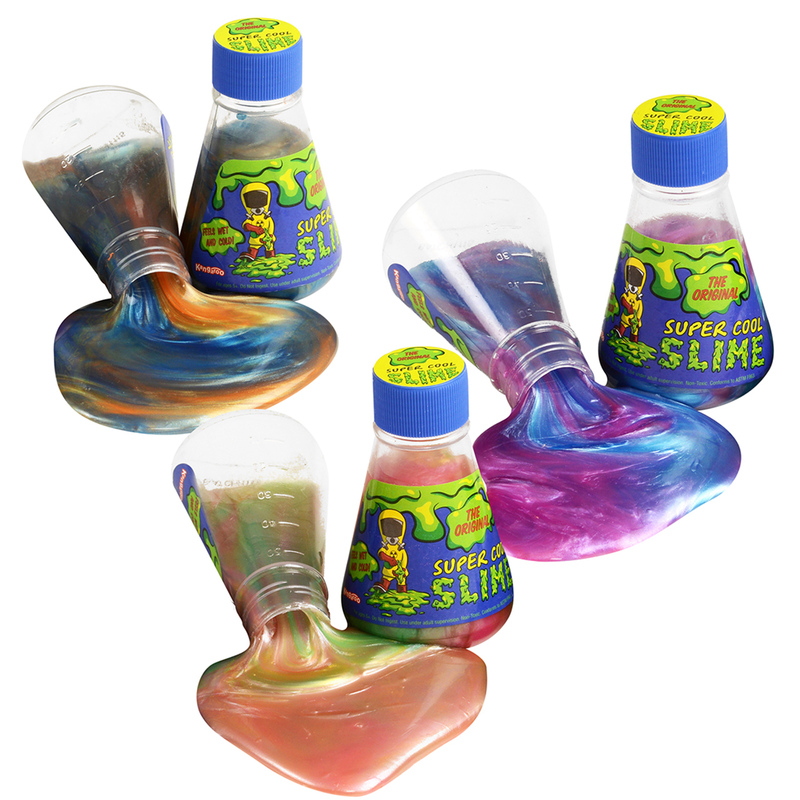 Kids and parents agree that this slime feels cold and wet to the touch but leaves no messy residue. “I bought this for our 7-year-old nephew,” wrote another amazon consumer of the Emoji Poop Slime. Look for these kid-pleasing presents online and at craft, party and specialty stores including TJ Max, Marshalls, HomeGoods, AC Moore, Party City, Learning Express and Hobby Lobby shops nationwide. The slime that started it all. It feels wet and cold and moves like a liquid but feels like a solid. Kids can’t keep their hands off of it! Choose one or all three amazing multi-color metallic designs! Possibilities include Blue/Orange, Purple/Blue, and Green/Pink. Everyone’s favorite emoji is now in slime form! Each bottle contains brown poop-looking slime for hours of playtime! The poop craze is the must-have gift of the year. Shhhh! Unicorns may not be real but the trend definitely is! Made with shimmers, sparkles, and everything nice, Unicorn Poop Slime is the cutest in the world! Each bottle comes in magnificent hues of pink, purple, and blue. No kid can be afraid of the dark with this gift. Turn off the lights and watch your slime glow! Available in blue, green, and yellow for endless fun. Roar! Relive the chills and thrills of Jurassic World with three dinosaur themed slimes! Look for dinosaur packaging featuring T. Rex in green, Blue in blue, and Indoraptor in black. 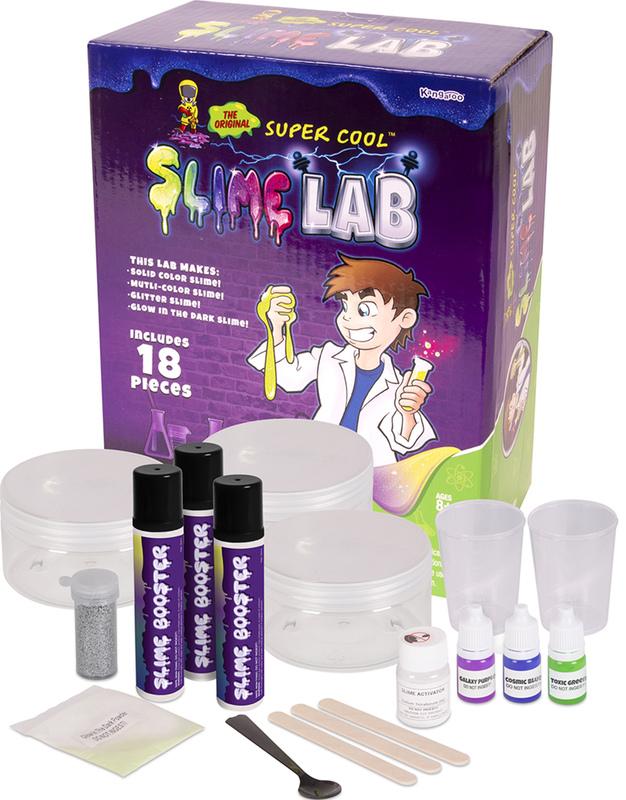 Transform into a mad scientist and make your own creations with the Super Cool Slime Lab. Experiment with multi-color, glitter, or even glow in the dark slime! Every kid gets an A and a slime-y good adventure. Kangaroo Manufacturing launched in 2014 and from the start has been dedicated to enhancing children’s play and imaginations. Starting with only a dozen items, Kangaroo Manufacturing’s product assortment continues to expand, encompassing a range of interests, such as toys, pool floats, novelty, costumes, houseware, party supplies, and much more. Kangaroo Manufacturing has taken the phrase “something for everyone” to heart and develops creative and engaging products that people of all ages can enjoy. 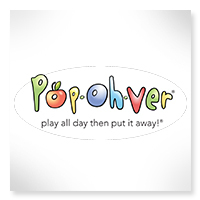 Brands include PopOhVer™, Coconut Float®, Original Super Cool® Slime and Emoji Universe. Next Entry GIFTING MOOSH-MOOSH SLIPPERZ, SEQUINS & SERIES 3 GUARANTEES CUDDLES ALL AROUND!